I am sure you have heard of the term, Athleisure, over and over by now. Casual clothing -like yoga pants, sweat pants and hoodies that are designed to be worn for both exercising and for doing (almost) everything else. 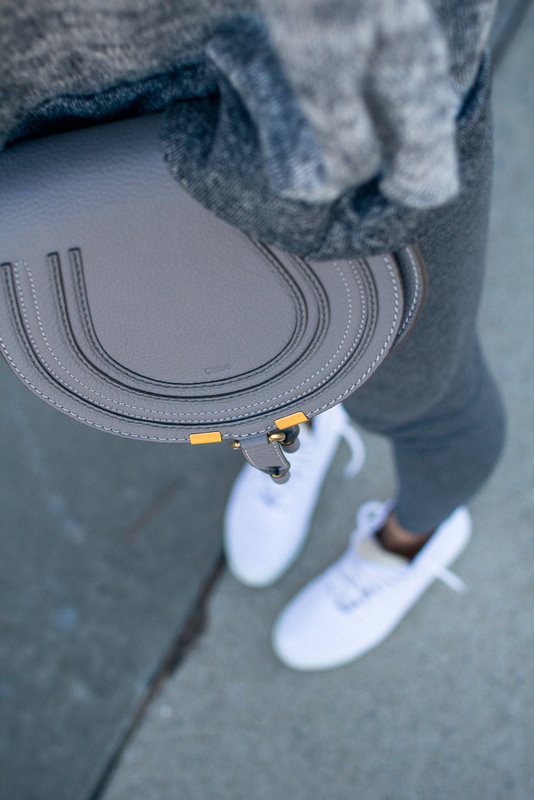 Well, when I am not in my ripped jeans and heels you will find me in just that…athleisure items. I would say 75% of the time I am decked out in yoga clothes and cozy sweats, and one great place to shop for adorable and unique athleisure wear is ModCloth. They have a ton of cute brands that I love to wear and a huge variety of athleisure and athletic clothing. I love the cute open back detail on this super soft hoodie. I can throw it over my workout tank to and from gym or wear when I am lounging at home. 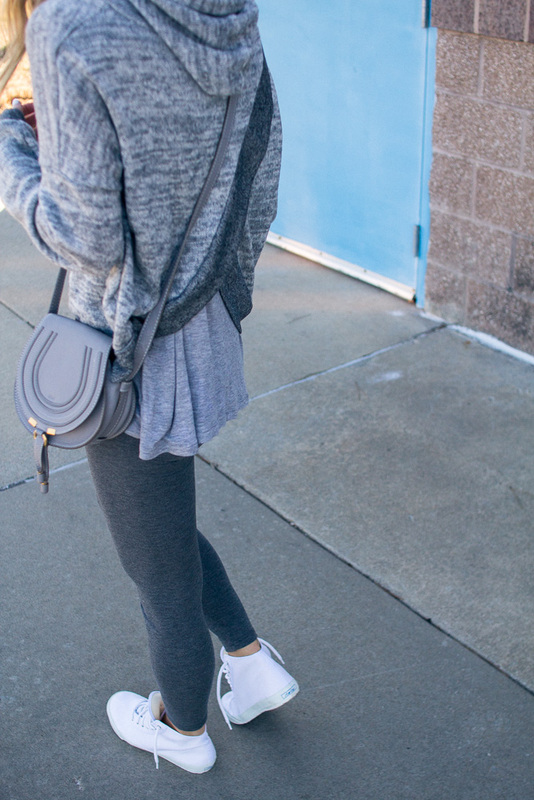 These leggings pair great not only under a hoodie, but also under my oversized sweaters with sneakers. 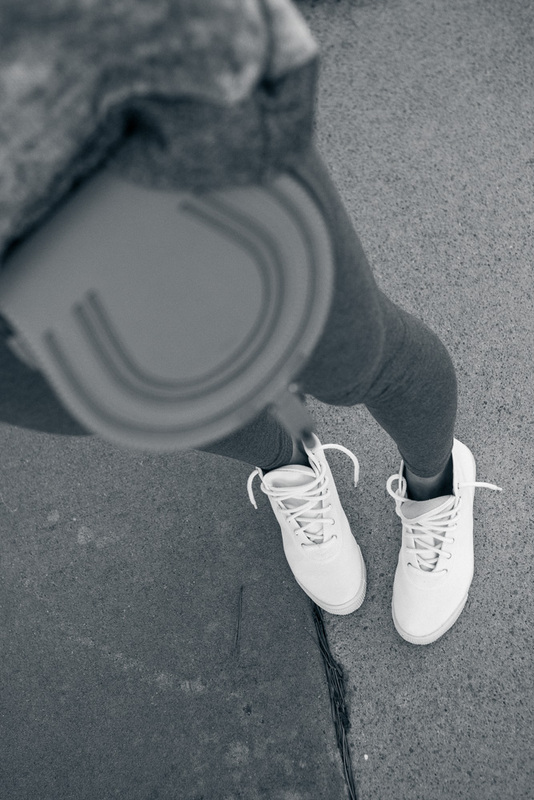 Right now I am white sneaker kick and these Startas high-tops are a fun twist on the norm. I just leave untied and slip right on and off for errands and running around with Sutton. ModCloth also has a huge selection of darling tech accessories. I always get asked what iPhone case I use and they have similar ones here. I also just ordered this Bando iPhone charger, super cute! This post was in partnership with ModCloth. All opinions and selections are my own! That hoodie is the cutest!! "Shiver me timbers, them’s some great infromation."